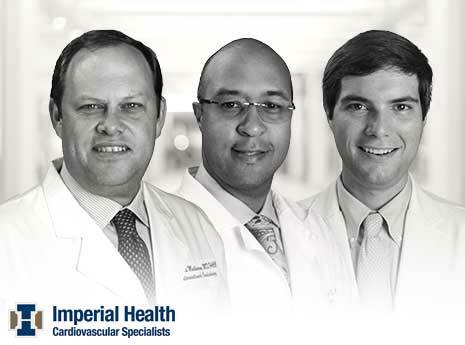 The structural heart team at Cardiovascular Specialists of Southwest Louisiana successfully completed the first transcatheter mitral valve replacement (TMVR) in Southwest Louisiana. TMVR is a new less invasive method for replacing the mitral valve without open heart surgery. Pictured left-to-right are Doctors Thomas J. Mulhearn IV, MD, FACC, Corey G. Foster, MD, FACC, and Brett J. Goodwin, MD, FACC. The providers of this replacement were Dr. Mulhearn and Dr. Foster. In the future, Dr. Goodwin will also be performing this procedure.